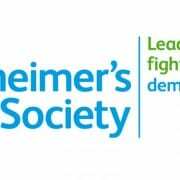 Dementia research at Exeter gets £190,000 boost! The dementia research charity BRACE and Kirby Laing Foundation have together awarded more than £190,000 to the University of Exeter Medical School to support cutting-edge genomic research to better understand the causes of dementia. Kirby Laing has provided £90,000 of funding to support a three-year PhD post in the Complex Disease Epigenetics Group within the Medical School’s world-leading research team that investigates how the way genes are activated influences disease. Previously, the team has been involved in identifying a number of regions of the genome that are altered in Alzheimer’s disease. Now, the PhD funding, in partnership with BRACE, will allow them to hone in on a specific region, known as HOXA3, and use state-of-the-art techniques to establish how and why this gene is altered in Alzheimer’s disease. An additional £100,000 of BRACE funding is supporting a two-year project to compare how gene regulation is altered in Alzheimer’s disease compared to in Parkinson’s disease, in collaboration with researchers at Cardiff University, with the aim of identifying unique genes to each dementia. For more information follow the link here to read the full story! https://www.epigenomicslab.com/wp-content/uploads/2017/09/web_Katie_Lunnon_main.jpg 145 218 Jonathan Mill /wp-content/uploads/2015/06/Complex-Disease-Epigenetics-Group.png Jonathan Mill2017-11-27 11:33:412018-04-04 14:41:29Dementia research at Exeter gets £190,000 boost! 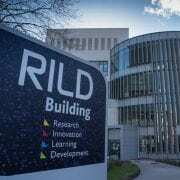 “Research Software Engineers drive advances in how research can be done more effectively using all manner of software, computing systems and infrastructure. 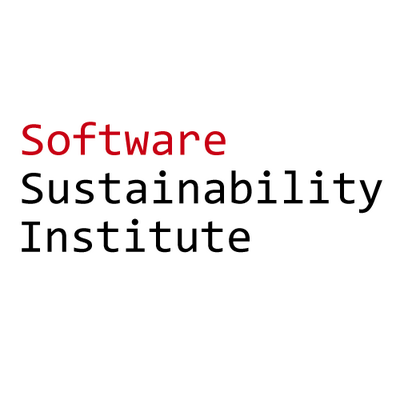 As a community, RSEs drive positive change to progress the state-of-the-art to do better, faster, and more reproducible research. It’s clear that cloud computing is playing an increasingly important role in research, so Microsoft is privileged to be able to support the RSE community, and researchers across the world, to exploit cloud computing across all domains through our Azure for Research program. Find out more about the Cloud Computing Awards or about the Awardees, including our own Eilis Hannon! A genetics researcher has won a prestigious award from the International Society of Psychiatric Genetics (ISPG) for his work on diseases that affect the brain. 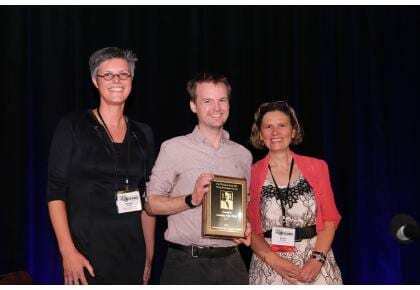 Professor Jonathan Mill, of the University of Exeter Medical School, has been presented with the 2017 Theodore Reich Young Investigator Award, a prize which celebrates exceptional research in the field of psychiatric genetics. The award is named after Theodore (Ted) Reich (1938-2003) who was the first President of the ISPG and was both an outstanding researcher and mentor to young scientists. The award was presented at the recent World Congress of Psychiatric Genetics in Orlando, Florida, an annual international conference for experts in the field. Professor Mill leads the Complex Disease Epigenetics Group, a team which focuses on understanding the way in which genes function in the brain, and how changes in their activity may influence mental health and disease. Professor Mill’s research explores gene regulation in diseases including schizophrenia, bipolar disorder, Alzheimer’s disease and autism. 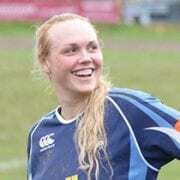 Read more at The Exeter Daily! 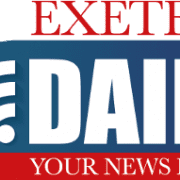 The Medical Research Council is awarding more than £1 million to the University of Exeter Medical School to continue their pioneering work into how and why schizophrenia develops. Scientists have long known that schizophrenia, which usually becomes evident during adolescence or in young adulthood, has its origins in the brain before birth. The research team which also involves the University of Essex will use cutting-edge DNA sequencing technology funded by a previous Medical Research Council grant to explore patterns of gene activity in the brain as it grows and develops, and the role that changes in these patterns play in schizophrenia. They will also profile a unique collection of post-mortem brain tissue donated by patients with schizophrenia from around the world. Read the full article at the University of Exeter website . Pioneering research work in Exeter into how and why schizophrenia develops will continue following a grant of more than £1m. A research team at the University of Exeter Medical School will use cutting-edge DNA sequencing technology funded by a previous Medical Research Council grant to explore patterns of gene activity in the brain as it grows and develops, and the role that changes in these patterns play in schizophrenia. To read more visit Devon Live! 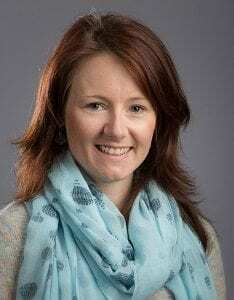 University of Exeter researcher Dr Katie Lunnon has won the Early Career Investigator of the Year Award at the Alzheimer’s Research UK Conference 2017. The prestigious prize celebrates excellence in dementia research and comes with £25,000 for Dr Lunnon to spend on her cutting-edge research in a field of biology called epigenetics. 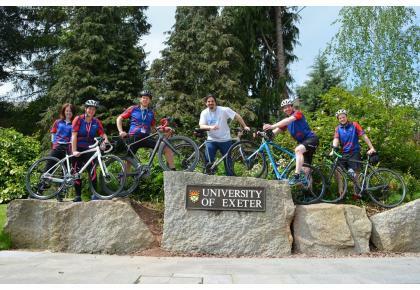 A team of six passionate dementia researchers from the University of Exeter are uniting against dementia and cycling 350 miles from London to Paris in a bid to raise £12,000 for the charity Alzheimer’s Society. The team will embark on their challenge on 19 July this year with a view to arriving in Paris, and crossing the Tour de France finish on the Champs D’Elysee, four days later. To read more visit The Exeter Daily! 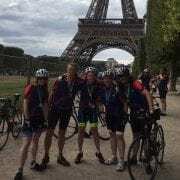 Five dementia researchers at the University of Exeter have pedalled over an epic 350 miles from London to Paris, raising thousands of pounds for Alzheimer’s Society in a gruelling four day challenge. 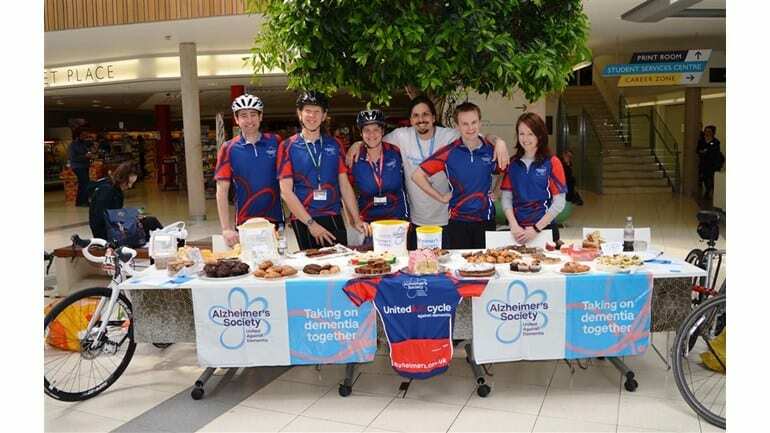 The team has raised more than £11,000 towards their £12,000 target to boost the Society’s ground-breaking dementia research, and they still hope to achieve their goal. To donate, visit their Justgiving page. University of Exeter researcher, Dr Katie Lunnon has won the Early Career Investigator of the Year Award at the Alzheimer’s Research UK Conference 2017. The prestigious prize celebrates excellence in dementia research and comes with £25k for Dr Lunnon to spend on her cutting-edge research. Katie studies the relatively new field of epigenetics – a biological process that can switch genes on or off, potentially influencing the risk of diseases like Alzheimer’s. We caught up with Katie to talk about her research and her role as a member of our Grant Review Board, where she helps to recommend the most promising research projects for Alzheimer’s Research UK to fund. Isabel Castanho, a second-year PhD student at the University of Exeter Medical School explains how her research focuses on a gap in our understanding of how genes contribute to Alzheimer’s disease. Follow the link here to find out more!